The Filipino American Jessica Cox is no doubt a 'Superwoman'. 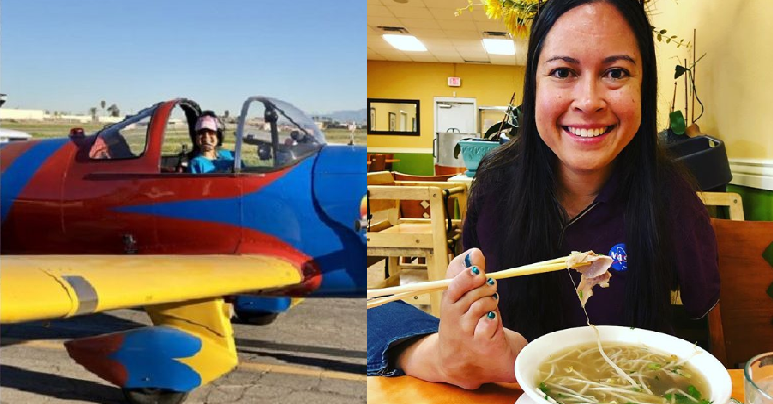 She made history as the first armless person to be certified pilot and a lot of people are calling her a real-life Superwoman. Cox was born without arms due to rare birth defect and she grew up in Tucson, Arizona. She endured most of her life bullied but it doesn't stop to reach for her goal being a superwoman. One of her dreams is to take people up to the sky to see the clouds and now she proved it. She earn her U.S. Federal Aviation Administration sports pilot license in 2008, after three years of hard work. Aside from her dream to take people in the sky, she also learned how to adapt using the gifts she was given and to develop her skills. She neglect what others think of her and enjoy whatever she have, she able to learn to tap dance, do gymnastic, swim, snorkeling,surf and ski. Using mainly what she have, her feet can be able to drive an unmodified car, put on makeup, contact lenses and type over 25 words per minute. But the most incredible tasked she made is she became a great motivation to others lives, by speaking in front of them. Being a disability rights advocate, Cox has been able to share her inspiring story to others and some big shows in the U.S. The 36-year-old superhero has also invited to over 23 countries as a motivational speaker.